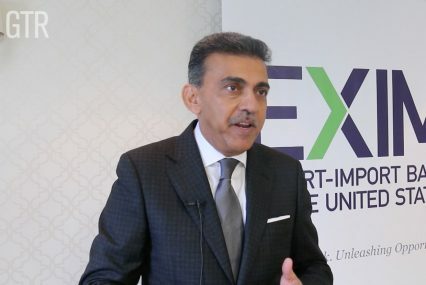 GTR met with V Shankar, CEO and partner at private equity firm Gateway Partners, at the US Exim annual conference in Washington DC, to discuss long-term changes in trade flows and policies. In the midst of structural changes (which include reshoring and a growing focus on services trade) and cyclical issues such as the commodity price drop, the former head of Europe, the Middle East, Africa and the Americas at Standard Chartered identifies south-south trade as the future driver of trade growth. He points out that young, consuming populations and increasing urbanisation will spur food and manufacturing demand. As for the protectionist trends observed in global politics in recent months – think Brexit and Donald Trump in particular – Shankar is not worried: “These pulls and pushes always happen. We need to get away from the electoral rhetoric a bit,” he tells GTR.